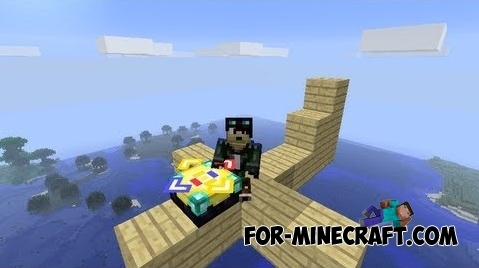 Aircraft (Zeppelin) Mod allows you to make different aircrafts in Minecraft. To built construction up into the air, enough to add one special block. Now you can create your own airplanes, dirigibles, helicopters and so on.